What level of dividend is suitable in the local market? Recently I was posed a question about what size of dividend would be deemed adequate for potential investors in the local market. Firstly, I would like to tackle the issue of a “local market” that very often is thrown around in discourse as though the financial industry in Malta is on a completely different planet, and disconnected from the rest of the world. The fact of the matter is investors have choices that reach beyond our small shores, and investment professionals giving recommendations to clients would hopefully not only be looking at Malta as an investable base. It is understandable that certain clientele might feel more comfortable taking on exposure to companies listed on the Malta Stock Exchange due to their familiarity, but one would be seriously limiting themselves from a portfolio perspective by taking this approach. Given a similar level of risk, there should be no reason for the expected return (via capital gains and dividend/interest payments) to be lower for locally based companies than for the rest of the world. Moving on to the main topic for discussion, is the question of how much of a dividend should investors expect to receive from a company. 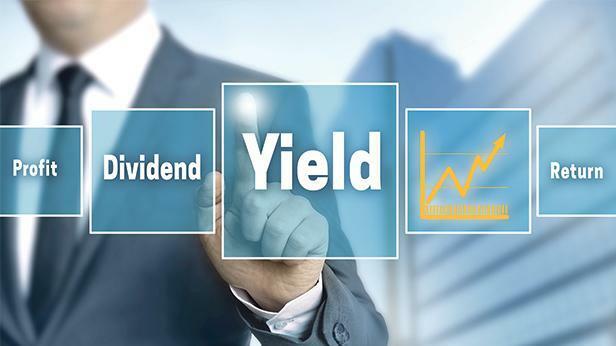 Financial theory dictates that investors are not concerned with a company's dividend policy since they can sell a portion of their portfolio of equities if they want cash. This evidence is called the "dividend irrelevance theory", and it essentially indicates that an issuance of dividends should have little to no impact on stock price. A counter argument to this is the “bird in hand” concept whereby investors would prefer crystallising their return, due in part to their cashflow management requirements and the related transaction costs associated with partial sales of stock. This is especially true for equities trading on the Malta Stock Exchange, given the low liquidity of the marketplace. Industry type – certain industries inherently require a large amount of recurring capital expenditure in order to maintain their level of growth, implicitly requiring that a large amount of profits are retained within the business and not distributed to shareholders. A practical example of a capital intensive business would be a manufacturing company as opposed to a real estate services company. Strategic objectives – the board of a company might be targeting the take-over of a rival, a rapid expansion which requires an investment in working capital or even the diversification of the company into another industry, all of which would impinge on the dividend policy decision. Leverage – A company having more leverage in their financial structure and consequently, frequent interest payments will have to decide for a low dividend pay-out. Whereas a company utilizing their retained earnings would be capable of paying higher dividends. Business cycles – A company is inevitably exposed to different business cycles. During a boom, it is prudent to save up and make reserves for dips. Such reserves will help a company declare high dividends even in depressing markets. Profitability – intuitively, a highly profitable company generally pays higher dividends and a company with less or no profits will adopt a conservative dividend policy. Taxation policy – The corporate taxes will affect dividend policy, either directly or indirectly. Taxation directly reduces the residual earnings after tax available for the shareholders. Inflation – Inflationary environments compel companies to retain a major part of their earnings. As general prices rise, companies need to increase their capital reserves for their purchases and other expenses. Congruent to the above, a company’s board would weigh all of the factors and establish what in its opinion a sustainable level of dividend pay-out is. A board may opt for a stable dividend pay-out policy, whereby dividends are a fraction of yearly earnings, reducing uncertainty for investors. A second option is the residual dividend policy, where dividend payments are determined from the residual or leftover equity only after all project capital requirements are met. These companies usually attempt to maintain balance in their debt/equity ratios before making any dividend distributions, deciding on dividends only if there is enough money left over after all operating and expansion expenses are met. In a nutshell, the management of a company has no obligations to be adhered to and needs to judiciously weigh all the above-mentioned factors and formulate a balanced, sustainable dividend policy which needs to be updated in the wake of any changes to the factors. Disclaimer: This article was issued by Simon Psaila, financial analyst at Calamatta Cuschieri. For more information visit, www.cc.com.mt. The information, view and opinions provided in this article are being provided solely for educational and informational purposes and should not be construed as investment advice, advice concerning particular investments or investment decisions, or tax or legal advice.